Chapter 1C - Enforcement of Judgments. §§ 1C-1 through 1C-1599. Reserved for future codification purposes. Article 16 - Exempt Property. Article 17 - Uniform Enforcement of Foreign Judgments Act. § 1C-1703. Filing and status of foreign judgments. § 1C-1704. Notice of filing; service. § 1C-1705. Defenses; procedure; stay. § 1C-1708. Judgments against public policy. §§ 1C-1709 through 1C-1749. Reserved for future codification purposes. Article 17A - Enforcement of Foreign Judgments for Noncompensatory Damages. § 1C-1750: Repealed by Session Laws 2003-19, s. 1, effective April 23, 2003. §§ 1C-1751 through 1C-1759. Reserved for future codification purposes. § 1C-1760: Repealed by Session Laws 2003-19, s. 1, effective April 23, 2003. §§ 1C-1761 through 1C-1799. Reserved for future codification purposes.  Article 18 - North Carolina Foreign Money Judgments Recognition Act. § 1C-1800: Repealed by Session Laws 2009-325, s. 1, effective October 1, 2009, and applicable to all actions commenced on or after that date in which the issue of recognition of a foreign-country judgment is raised. § 1C-1801: Repealed by Session Laws 2009-325, s. 1, effective October 1, 2009, and applicable to all actions commenced on or after that date in which the issue of recognition of a foreign-country judgment is raised. § 1C-1802: Repealed by Session Laws 2009-325, s. 1, effective October 1, 2009, and applicable to all actions commenced on or after that date in which the issue of recognition of a foreign-country judgment is raised. § 1C-1803: Repealed by Session Laws 2009-325, s. 1, effective October 1, 2009, and applicable to all actions commenced on or after that date in which the issue of recognition of a foreign-country judgment is raised. § 1C-1804: Repealed by Session Laws 2009-325, s. 1, effective October 1, 2009, and applicable to all actions commenced on or after that date in which the issue of recognition of a foreign-country judgment is raised. § 1C-1805: Repealed by Session Laws 2009-325, s. 1, effective October 1, 2009, and applicable to all actions commenced on or after that date in which the issue of recognition of a foreign-country judgment is raised. § 1C-1806: Repealed by Session Laws 2009-325, s. 1, effective October 1, 2009, and applicable to all actions commenced on or after that date in which the issue of recognition of a foreign-country judgment is raised. § 1C-1807: Repealed by Session Laws 2009-325, s. 1, effective October 1, 2009, and applicable to all actions commenced on or after that date in which the issue of recognition of a foreign-country judgment is raised. § 1C-1808: Repealed by Session Laws 2009-325, s. 1, effective October 1, 2009, and applicable to all actions commenced on or after that date in which the issue of recognition of a foreign-country judgment is raised. §§ 1C-1809 through 1C-1819. Reserved for future codification purposes. Article 19 - The North Carolina Foreign-Money Claims Act. § 1C-1821. Scope of Article. § 1C-1822. Variation by agreement. § 1C-1823. Determining proper money of the claim. § 1C-1824. Determining amount of the money of certain contract claims. § 1C-1825. Asserting and defending foreign-money claims. § 1C-1826. Judgments and awards on foreign-money claims, times of money conversion; form of judgments. § 1C-1827. Conversions of foreign money in distribution proceedings. § 1C-1828. Prejudgment and judgment interest. § 1C-1829. Enforcement of foreign judgments. § 1C-1830. Determining United States dollar value of assets to be seized or restrained. § 1C-1831. Effect of currency revalorization. § 1C-1832. Supplementary general principles of law. § 1C-1833. Uniformity of application and construction. § 1C-1835. Reserved for future codification purposes. § 1C-1836. Reserved for future codification purposes. § 1C-1837. Reserved for future codification purposes. § 1C-1838. Reserved for future codification purposes. § 1C-1839. Reserved for future codification purposes. § 1C-1840. Reserved for future codification purposes. § 1C-1841. Reserved for future codification purposes. § 1C-1842. Reserved for future codification purposes. § 1C-1843. Reserved for future codification purposes. § 1C-1844. Reserved for future codification purposes. § 1C-1845. Reserved for future codification purposes. § 1C-1846. Reserved for future codification purposes. § 1C-1847. Reserved for future codification purposes. § 1C-1848. Reserved for future codification purposes. § 1C-1849. Reserved for future codification purposes. Article 20 - North Carolina Uniform Foreign Country Money Judgments Recognition Act. § 1C-1852. Applicability; saving clause. § 1C-1853. Standards for recognition and nonrecognition of foreign-country judgment. § 1C-1855. Procedure for recognition and nonrecognition of foreign-country judgment. § 1C-1856. Effect of recognition of foreign-country judgment. § 1C-1857. Stay of proceedings pending appeal of foreign-country judgment. § 1C-1858. Statute of limitations. § 1C-1859. Uniformity of interpretation.